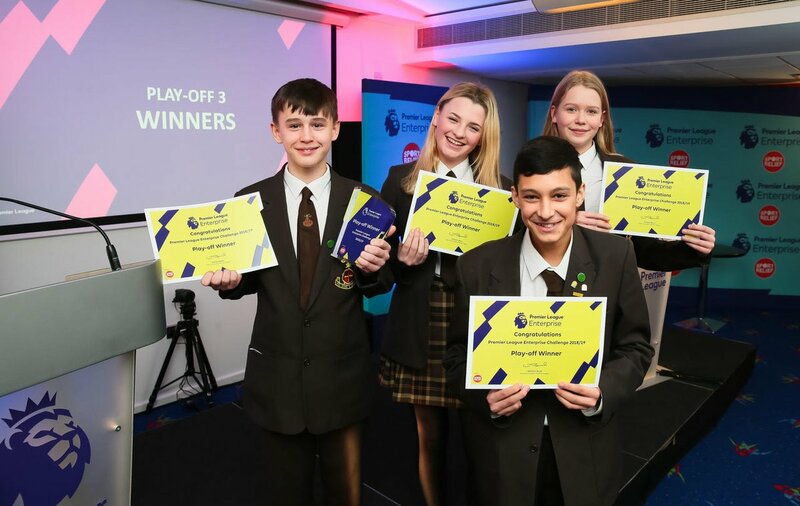 On Wednesday 23 January 2019, students from Moor End Academy represented Huddersfield Town in the regional Play-Offs of the Premier League’s Enterprise Challenge held at the John Smith’s Stadium. The students had successfully navigated the local heats in December and won the right to represent Huddersfield Town in the next round, competing against representative schools from Burnley FC, Manchester City, Hull City, Bolton Wanderers and Blackpool FC. The Premier League Enterprise Challenge requires students to develop a business plan and promotional campaign to meet a real-life football-based brief. This year’s challenge is to identify ways to increase the number of 18 – 23-year-olds who are season ticket holders. Students are required to research their idea, complete financial summaries before pitching their ideas to a panel of judges. The event was hosted by TV presenter and journalist, Kim Inglis with Town Foundation Trustee Sean Jarvis welcoming the teams to Huddersfield. The Mayor of Kirklees, Councillor Gwen Lowe and the Mayors Consort Ken Lowe were also in attendance. After pitching their ideas, students went on a Stadium tour before taking part in a Future Skills Workshop delivered by careers company, EY. The quality of presentations were extremely high and all students were a credit to their representative schools. The judges selected Blackpool FC to progress to the next round, everybody at Huddersfield Town and the Town Foundation wish the students of Baines School the best of luck in the finals. If you would like your school involved in next year’s Premier League Enterprise Challenge please contact adam.lunn@htafcfoundation.com.